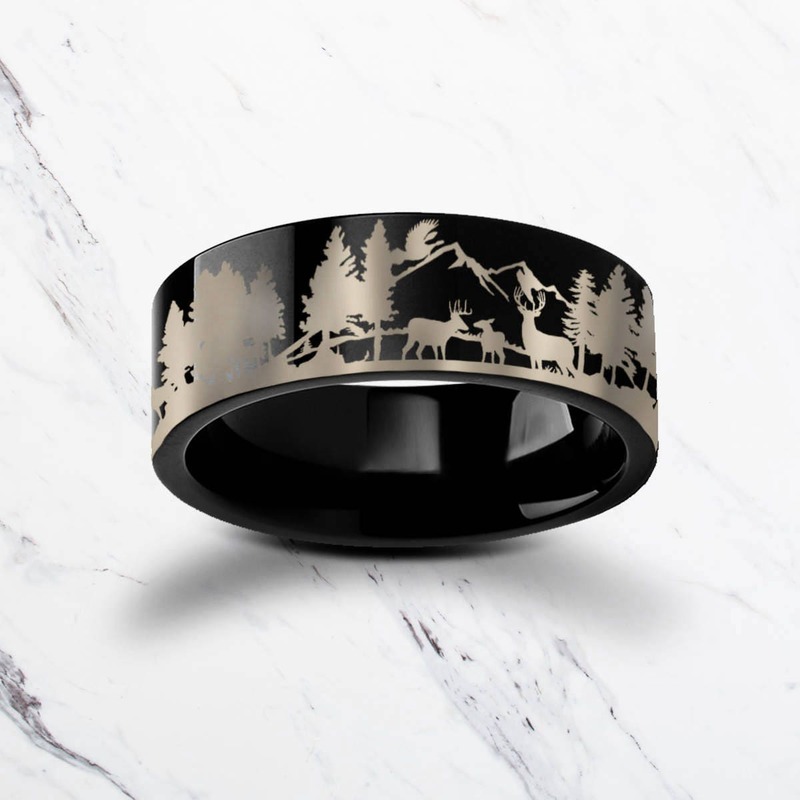 This is a flat polished black tungsten carbide ring with a beautiful intricate scene of deer grazing in the forest and mountains. This is an awesome engraved ring for lovers of deer and anyone that's into the outdoors. 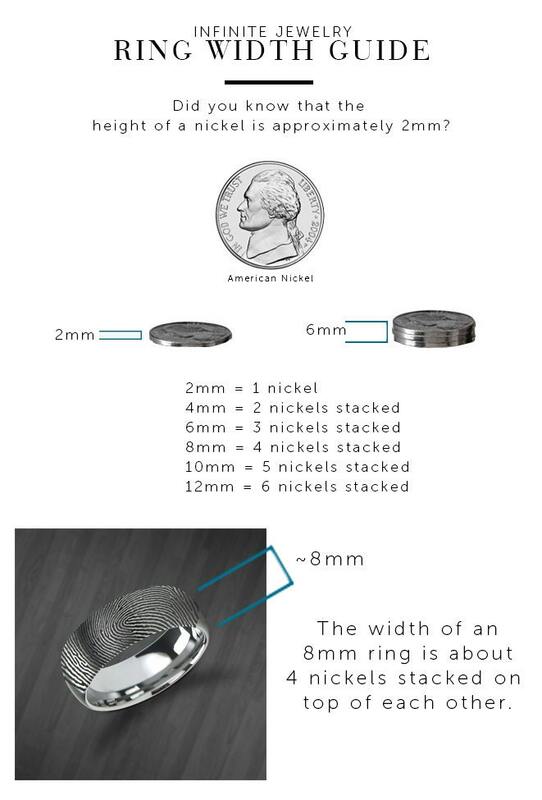 I ordered a new wedding band for my husband and it is beautiful. There was a mix up with the order but when I contacted them, they were very quick with their reply and they helped me fix the problem without any issues. Great customer service and beautiful product. I highly recommend and will order from them again if the need arises. Love this ring! Looks great!